I loved playing Pass the Parcel at parties when I was a kid. But that was back in the 70s when being lucky enough to peel off a layer of the paper – usually scrappy old newsprint – was prize enough. Nowadays, those tatty parcels with their solitary last-layer present tucked inside just won’t do. But before you throw your arms up in the air and declare it all too hard, we’ve got the perfect find for you. Welcome to the wonderful, whimsical world of Bob Boutique, where pre-wrapped party parcels of absolute gorgeousness and delight can be yours with just a click of your mouse. Artist Sonia Brit – who incidentally makes most of the darling little prizes you see below – hand wraps the parcels herself with such flair and charm that it almost seems a shame to open them. Each layer is covered in hand-stamped paper and tied with string, along with a little poem or rhyme for the child to read that just adds to the sense of occasion. 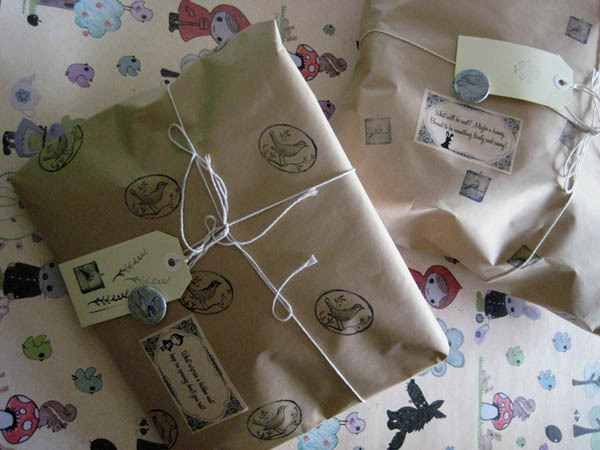 If you manage to stop admiring the wrappings long enough to let your mini party-guests rip into them, you’ll find all manner of goodies hidden between the carefully wrapped layers – cute badges and keyrings, pretty hair clips and ties, lovely bookmarks, mini notebooks, mirrors, totes and the sweetest little hand-crafted toys you’re ever likely to see. 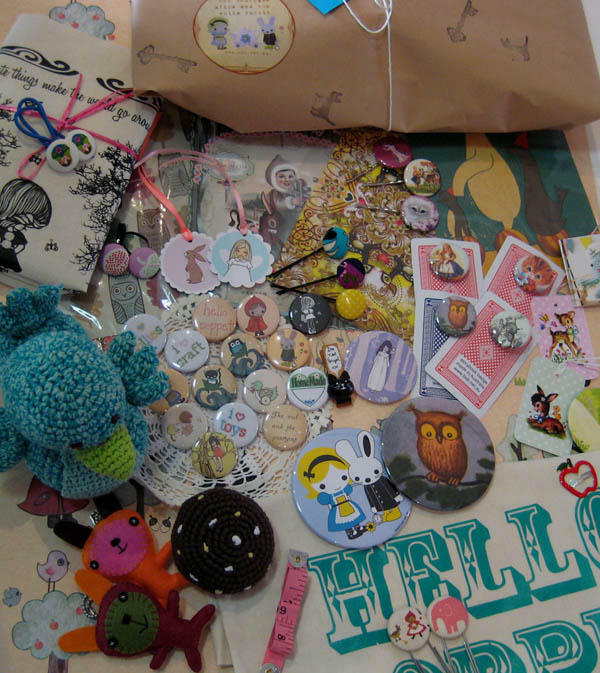 Parcels are available in a mix of girly themes, including pretty, crafty or sweet as well as in fairytale or nursery rhyme favourites such as Alice in Wonderland, Red Riding Hood and the Owl and the Pussycat. Or choose your own theme and treasures from Bob’s amazing collection. We love how Sonia will make sure to steer clear of prizes with pointy bits or sharp edges if the party guests are aged younger than five. She also includes a list of each layer for parents who might like to match prizes to particular guests. 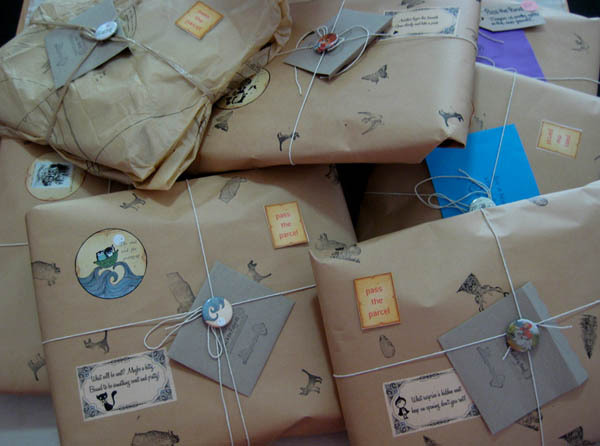 Pre-made parcels start at $50 and prices vary according to the number of layers and presents inside. Postage is available across Australia. Visit Bob Boutique to order.